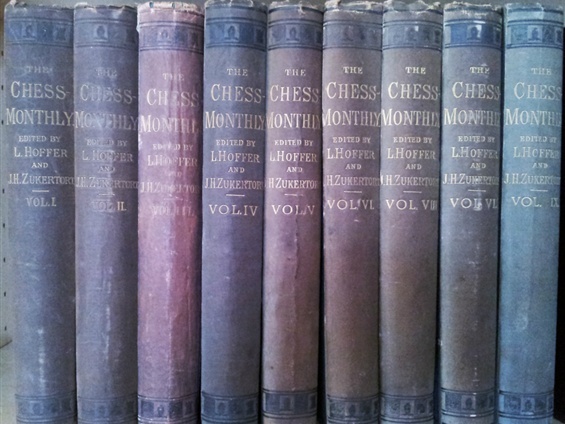 The Chess Monthly commenced in September 1879 and ran for 17 years until August 1896. The editors were Leopold Hoffer and Johannes Zukertort until his death in June 1888. B G Laws conducted the problem department from 1888 onwards. 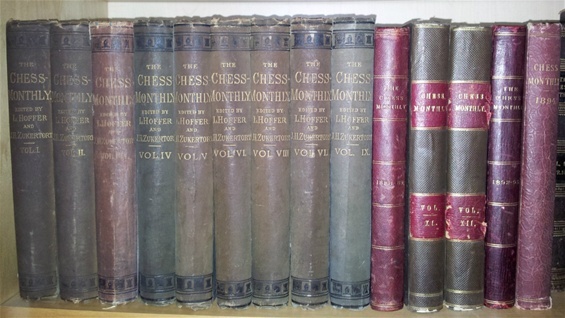 The 1870’s was a very active time for British Chess Periodicals: The Chess Player’s Chronicle was published throughout the decade (with some short gaps), and The Westminster Papers was also published every year up until April 1879. The Huddersfield College Magazine commenced in 1872 and had an important chess section which eventually evolved into The British Chess Magazine in 1881. Two shorter lived periodicals were The Amateur Chess Magazine which ran from June 1872 to June 1874 and The City of London Chess Magazine which was published from February 1874 until March 1876. 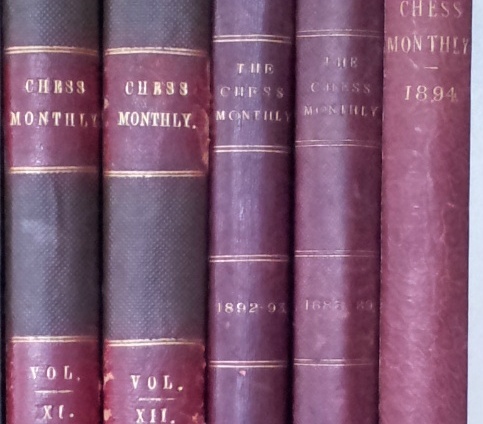 Finally, in September 1879 The Chess Monthly was launched and, although competing with The Chess Player’s Chronicle and The British Chess Magazine, established itself as a leading quality chess periodical for the next 17 years. I have Volumes 1 to 12 and 14 and 15. I would prefer to sell these as a set or at least keep the matched bindings together. Failing this I will sell them individually. 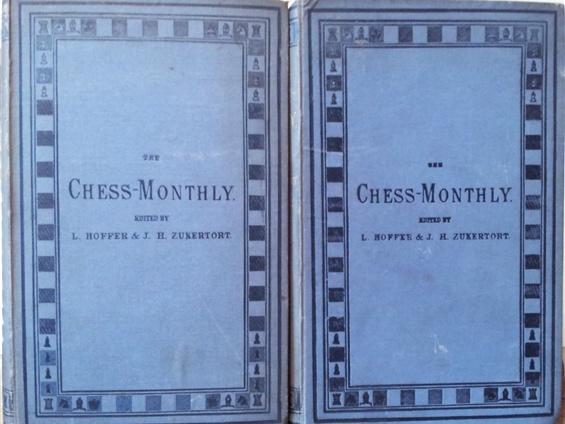 Volumes 1 to 9 are in the publishers blue/grey binding with chess motif borders and are generally in good to very good condition. The spines have darkened, the front cover of volume 8 is marked and there is a little foxing/staining to some pages mainly the endpapers. However, the bindings are good and strong with no splitting of the external hinges. A previous owner was W Hook Longsdon of Trinity College Cambridge and his name and address is inside some of the volumes. Volumes 10 and 14 have matching maroon half leather bindings and, apart from occasional spotting/foxing are very good. Volumes 11 and 12 also have matching bindings, there is a short split to the top hinge of volume 12 otherwise these are very good. 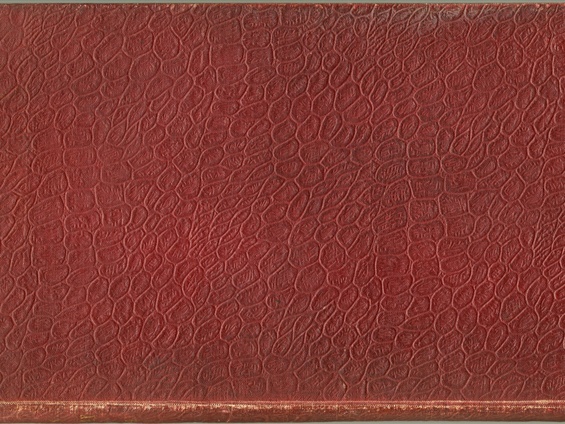 Volume 15 is bound in maroon crocodile patterned cloth, the inner hinges have split, otherwise very good. 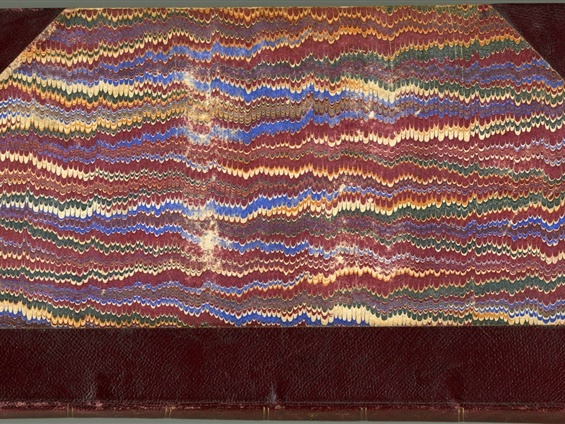 All volumes have title page and index.